John “Jack” Robert Barry, age 68, of Mechanicsburg, passed away peacefully at home on Friday, August 3, 2018. Jack was born on Tuesday, July 25, 1950 in Camden, NJ to the late Joseph Carr Barry and Anna Elizabeth (Comerford) Barry. Jack’s survivors include his wife of 44 years, Barbara “Barb” Ellen (Martin) Barry; his two children: Allison Schooley and her husband, Will, of Midlothian, VA, Brett Barry and his wife, Sarah, of Mechanicsburg; and his five grandchildren: Ashlyn and Taylor Schooley, Josephine, Jack, and Henry Barry. Jack graduated from Pennsauken High School as part of the class of 1968 and from Murray State University in 1973 with a bachelor’s degree in business. He retired from American Greetings Corporation, after 35 years of service working as a sales manager. Jack enjoyed listening to classic rock and country music, traveling, and spending time at the beach as well as on his pontoon boat. He was a big sports fan, especially of the Philadelphia teams. Jack also coached soccer and baseball. Above all else, he truly loved and cherished the time he spent with his family and grandchildren. All are welcome to join Jack’s family at his gathering of family and friends on Thursday, August 9, 2018, from 11:00 a.m. until time of service at 12:00 p.m. at Myers - Buhrig Funeral Home and Crematory, 37 East Main Street, Mechanicsburg, PA 17055; with Celebrant George Spangler officiating. Jack’s family invites everyone to join them for a time of food and fellowship at Buhrig’s Gathering Place (next to Myers - Buhrig) immediately following the service. Burial will follow in Mechanicsburg Cemetery. Honored to be pallbearers are: Rich Greenwood, Chuck Hall, Randy Markel, Kurt Martin, Kurt Meyer, and Will Schooley. Contributions in celebration of Jack’s life can be made to the Amyloidosis Foundation, 7151 N. Main Street, Suite 2, Clarkston, MI 48346, www.Amyloidosis.org/act/donate/. 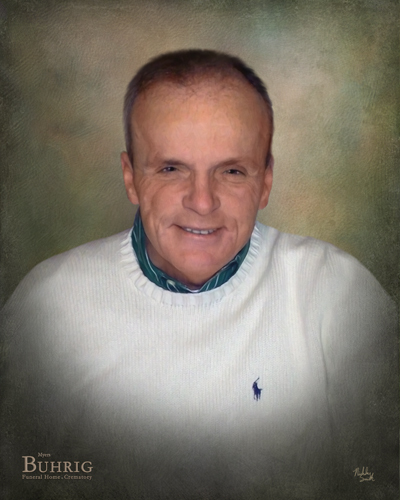 Jack’s family has entrusted his care to Myers – Buhrig Funeral Home and Crematory in Mechanicsburg, (717) 766-3421. Read Jack’s full obituary, view his memorial video and portrait, and sign his official guest book at Buhrig.com.